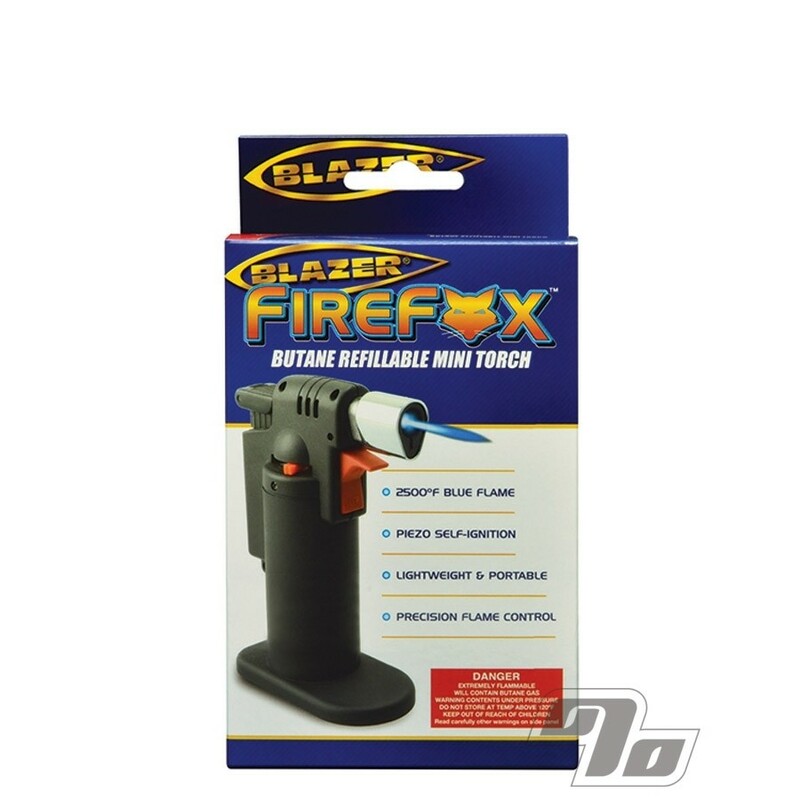 The Blazer Firefox mini butane torch is compact (4.5" tall). 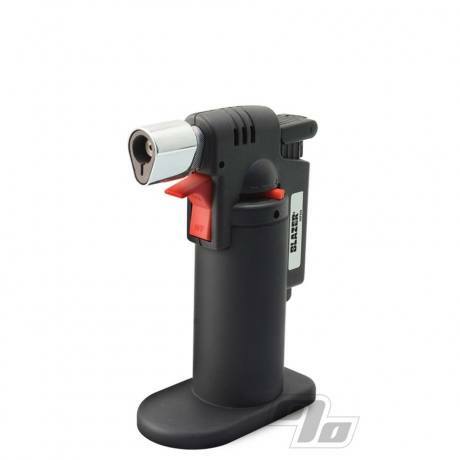 It's good for all kinds of general use including as a table top lighter and/or heating quartz glass. This butane torch has a piezoelectric ignition system and provides a 2,500 degrees F, wind-resistant, blue flame for precision. This model will burn for approximately 20 minutes with a full fuel chamber, and has a lock that enables continuous operation. For safety it has a child-resistant trigger mechanism that most adults should be able to operate regardless of condition.